Key difference: Coming from the same family of motorbikes, the Yamaha FZ and the Yamaha FZS differ in terms of their price, dimensions, chassis, performance, etc. 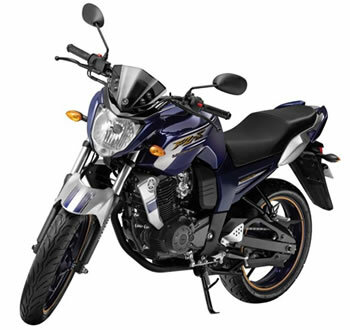 The Yamaha FZ and the Yamaha FZS are two motorbikes that are manufactured and marketed by India Yamaha Motor, an offshoot of the Japanese motorbike giant, Yamaha Motor Company. Both the bikes are primarily based on Yamaha’s FZ1 bike, which was sold by Yamaha worldwide. The FZ and FZS are customized to suit Indian roads, and cater to the needs of the average Indian biker. The FZ16 was launched in Indian bike markets prior to the FZS. 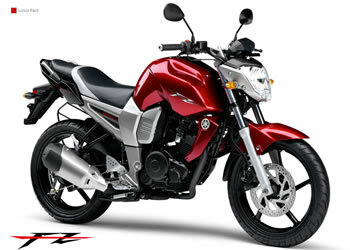 The FZ16 was launched in the year 2008, and has since then paved the way for rest of the models to continue in its path. The FZS is practically an improvisation of the FZ16, with minor changes like an aerodynamic windshield, a longer pillion seat which is also relatively wider, a chain protector and a wider rear fender. The engine has been left untouched, which is why both these bikes feature a 153cc displacement engine offering a max power of around 14PS, at 7500RPM, which translates to 13.6 Nm torque at 6000 RPM. However, performance-wise, the FZS has garnered quite a response due to its comparatively higher mileage, superior comfort and an edgy forefront. Notably, the FZS is also priced steeply than its predecessor, which is the Yamaha FZ. Top speed of fzs in not 111 I drove more than this speed.